Dimensions in mm: 525 (w) * 400 (d) * 665 (h). 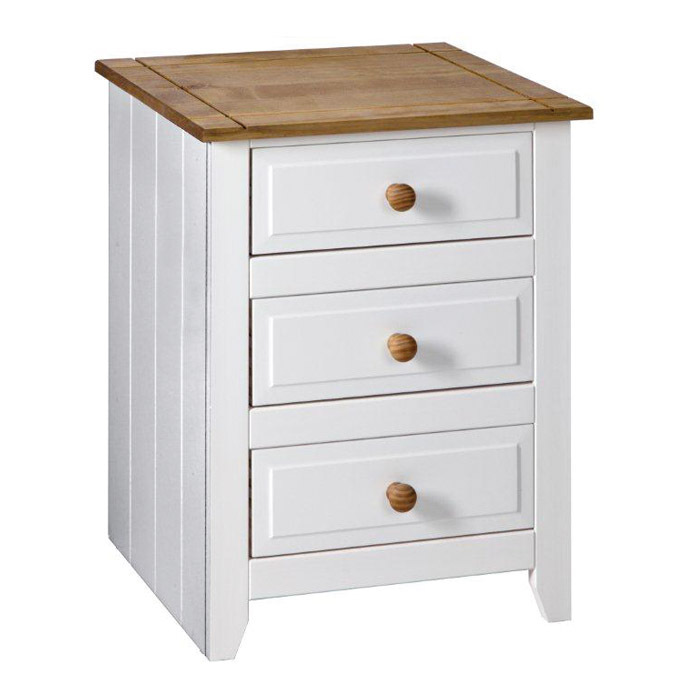 The Capri 3 drawer bedside cabinet has a stunning white carcass with antique waxed pine tops and handles. The cabinet is beautifully designed and it will add style to any bedroom. This bedside cabinet is supplied flat pack for home assembly with easy to follow self assembly instructions. 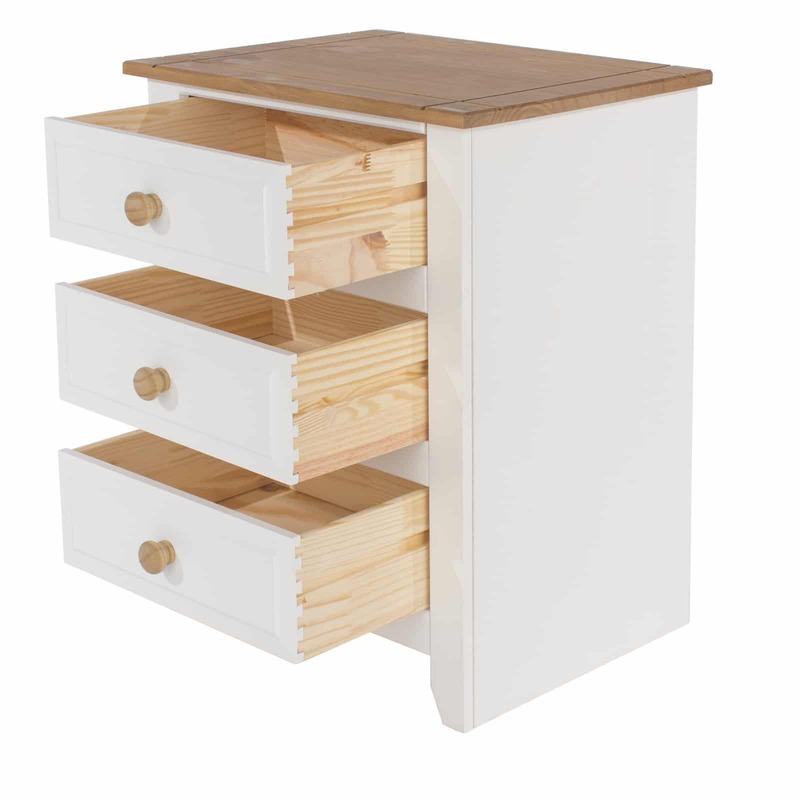 The bright white casing and the brown pine drawer handles and top offset each other nicely. Delivery: Please allow 2 – 3 days for delivery of your new Capri bedside cabinet. Below are the other items in the stunning Capri bedroom range.